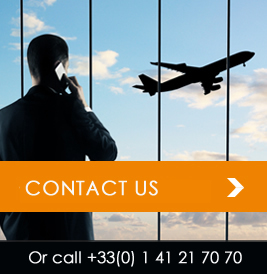 For more than 25 years, the Executive Relocations company have managed employees’ domestic and global mobility on behalf of companies in countries worldwide. First French integrator for relocation services, Executive Relocations is able to manage part or all steps of the corporate relocation program, regardless of the employee’s profile or destination country. Meeting the challenge of corporate relocation, together! Exceeding our client’s service expectations. Executive Relocations is a member of EuRA (European Relocation Association) and is bound by their ethics and rules of conduct. The stated aim of EuRA is to spread knowledge and understanding of the issues surrounding employee mobility. Further, EuRA enhances industry performance standards by communication and through continuing education. Executive Relocations is a ERC member (the Employee Relocation Council) since 1991. The ERC is an American association which helps their members overcome the challenges of workforce mobility. The ERC includes 1,200 representatives from corporations which relocate their employees, as well as nearly 11,000 individuals and companies from the relocation industry. As an ethically committed relocations company, we adhere to a strict ethical charter, as well as integrity and equality requirements. We respect a quality policy which complies with international ISO 9001 :2015, ISO 27007:2013 and EURA Global Quality Seal norms’ requirements.